CASSELBERRY, Fla. - A man accused of strangling his on-again, off-again girlfriend showed no remorse at the crime scene and repeatedly claimed the woman fell even though the evidence indicated otherwise, according to the Casselberry Police Department. 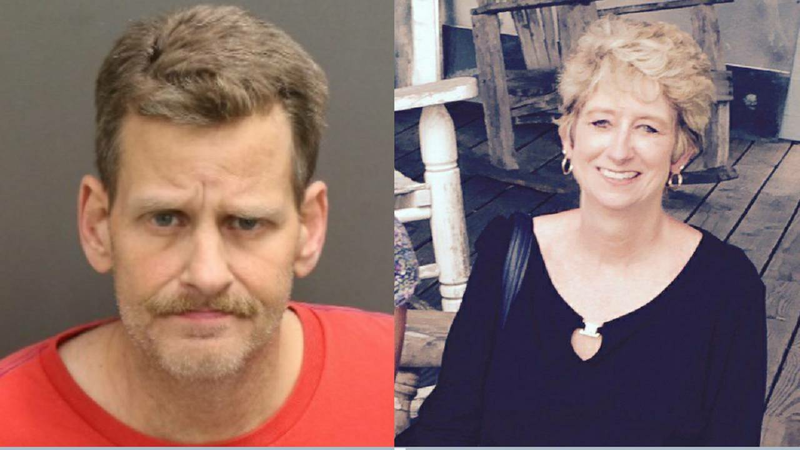 William Pyle is accused of killing Pamela Rooks, 55, at the Summit Village condos on Wednesday. Police said Pyle, 51, called his mother after a "quarrel" with Rooks and asked her to come over. When she arrived, she saw Rooks lying on the floor and called 911, records show. "I don't know. My son just called me he said, 'Mother get over here.' I walk in the door, she's laying on the floor. He said he and she got into a quarrel, she hit the wall and then she grabbed her chest and hit the floor," Pyle's mother told a 911 operator. Authorities said Rooks was pronounced dead at the scene shortly after they arrived. Pyle told officers that Rooks was upset and punched the wall hard enough to create a hole then, "She grabbed her chest and fell," according to the report. Police said signs of trauma to Rooks' face, including eyes that wore swollen shut and purple, indicated that she'd been strangled. Detectives said Pyle seemed unconcerned while they were investigated, but he did request an attorney when an officer tried to speak to him. "He was not exhibiting any emotion and did not appear to be upset or previously crying," a detective wrote in the report. Pyle's mother told police that she "cared deeply" for Rooks and had urged her to stay away from Pyle because he had hit her in the past and she was fearful that, "Something bad is going to happen one of these days," according to the warrant. She also said that Pyle and and Rooks often fought because he suspected her of cheating. Rooks' brother said he believed Rooks was living with Pyle but keeping it a secret because the family did not approve of the two being together because of Pyle's domestic violence history, the report said. Pyle was arrested Friday on a first-degree murder charge after an autopsy found Rooks' cause of death was strangulation with signs of blunt force trauma. Pyle is being held without bond. Victims of domestic violence can call the National Domestic Violence Hotline, 24 hours a day, at 1-800-799-7233 or in Central Florida, the Harbor House 24-hour crisis hotline at 407-886-2856.